You may have heard the phrase “thin places,” those moments or places where we feel the space between God and us becomes very close or thin and we experience God in a profound way. Usually, when I’m in a thin place, I cry. Sometimes, we intentionally create thin places and other times, these places occur spontaneously. I’d like to talk about tender places today. These are the places that enable us to see God in each other, where Jesus shines through another person. 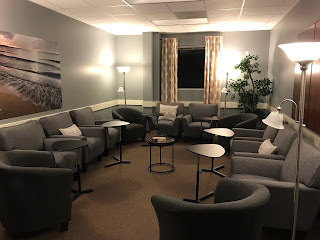 Creating these places is becoming a passion of mine because I see how helpful it is to those who experience them, especially for newcomers to our churches. Many Christians know that they can be Christians by walking in the forest on a Sunday morning and praying to God and living out their beliefs in the world in various ways. But I find in my own ministry, that many Christians don’t want to be solo practitioners; they want to be in community with other Christians. The disconnect happens when they can’t find a community that feels like home. As I listen to seekers, I hear these three things: they want to encounter the sacred, be safe from harm, and be able to serve. Sacred, safe, serve. That’s where the tender places come in. These places come from a place of both bravery and vulnerability – to be able to bravely commit to sharing our experiences and to being vulnerable by telling those experiences truthfully. This last part about truth is most important. If we carefully curate our stories, our Christian witness does not produce fruit. While curating “our best life” on Facebook is commonplace, within our Christian communities, we need relief from the pressure of feeling like we can’t go to church until we get it all together (never) or that we can’t share our struggles there. If we aren’t being our real and authentic selves in our churches, then we can’t see Jesus in one another because Jesus isn’t revealed in perfection; Jesus is revealed in imperfection. Jesus leaned into all the imperfection around him until the end. He was real in every way. If your way to create home for your newcomers is to welcome them on Sunday and then plug them into ministry, please reconsider actually getting to know them first. And make that experience an authentic one where you can show them that your church is home to real people living real lives. And, expect to hear some stories of miracles! Miracles still happen and need to be received with joy. This may seem obvious but nothing kills a person’s feeling of belonging like minimizing their experience of God. With all the recent upheaval in various denominations, we may have seekers in our Episcopal churches with heavy hearts over the coming years. They will need tender places to heal. In order to encounter God and reveal Jesus, we need to be able to take down our walls. How do you take down your walls if you do not see vulnerability and authenticity modeled in others? Can you show others who you truly are so they can encounter the sacred, be safe from harm, and serve? If you want to be notified of new posts, subscribe by email in the top right corner of the blog. 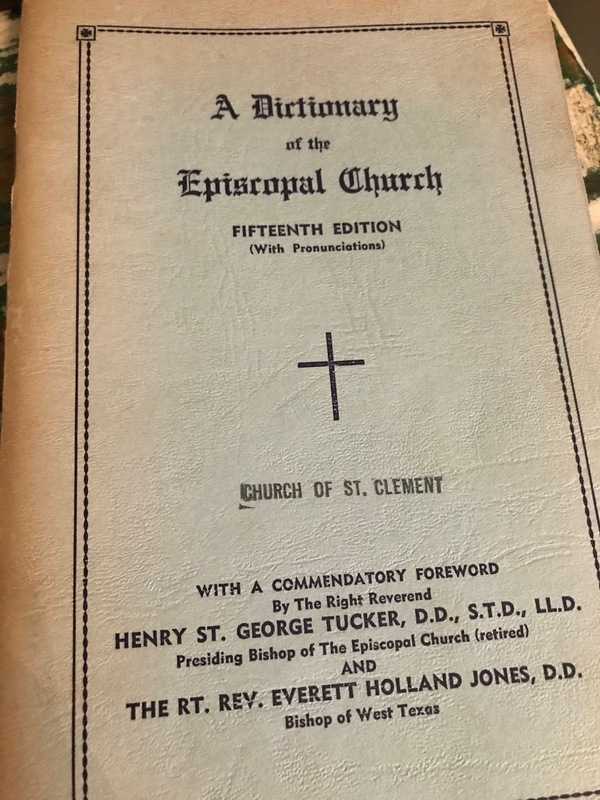 This is an open letter to my beloved fellow Episcopalians… With all the love I have, I challenge you to look at your churches through the eyes and ears of non-Episcopalians. In my ministry of welcome, I have the opportunity to see the Episcopal Church through the eyes of people who have never set foot in our churches. When we ask visitors, “Are you familiar with Episcopal worship?” we genuinely want to know so that we can help them worship. As I sit with guests and give them the backstage tour, I am worshiping through their experience. There are many aspects of our worship that are mysterious to the outsider. And that is the point: what we do and say makes many feel like outsiders, that they don't belong here. I trust that’s not your intent, but it’s true. I explain that worship follows a rhythm: scripture, sermon, prayers in the first half and then communion in the second half (and I explain what communion is). I explain that we read the Gospel among the people, facing the door, to remind us to take the Gospel out into the world. 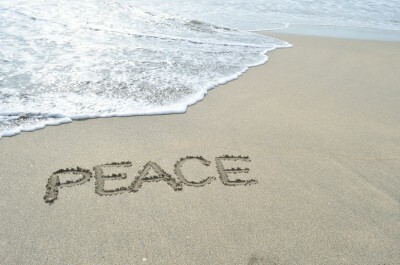 I explain the passing of the peace is a symbolic reconciliation of one to another before we come to the Table together. I explain that we stand or kneel to pray because that is an active posture but do whatever you helps you worship. You get the idea. These things are generally received with gratitude and wonder. I also explain all the insider language that is thrown about like it’s common knowledge. Fellow Anglicans, most people don’t know what vestry, narthex, DOK, EYC, Diocesan Council, Shrove Tuesday, Lent, Sr. Warden, or pledging means. They don’t. Most of the time, when people visit our churches and don’t come back, we never know why. I get to hear all that feedback. Even with my prepping them, they still get confused. One family left in the middle of the service because at the passing of the peace, they literally thought it was over because it was such a break in the liturgy. They tell me that they don’t feel comfortable in a church where all the children’s materials pictured exclusively white children when they foster children of all colors. They don't know what Seafarer's Boxes are. They don’t know why we cross ourselves. They are concerned about a senior warden, since that sounds like judgement and enforcement. Some churches have adopted the more accurate term, senior steward. Still not super clear but less scary than warden. 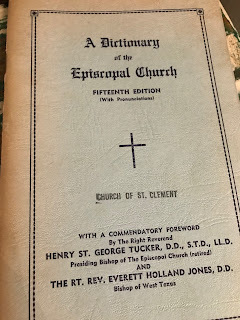 I challenge you to look at all your language and practices and see them from the eyes of someone who knows nothing about your home church nor the Episcopal Church. If your “Who We Are” tab on your website starts out with, “In 1957, …” please consider putting that under a tab called History and do some discernment about who you really are today and tell that story on the Who We Are tab. Describe your worship experience in terms that anyone can understand. Look for all the insider language and get rid of it or define it. Tell a story of who you serve – the difference your church makes in the world. When you make announcements, provide brief explanations. Vestry - our leadership board. EYC - Episcopal Youth Community. Narthex - welcoming area. Explain events and their purpose even if you “do it every year.” It takes almost no time. And for goodness sake, stop saying cradle Episcopalian. It hardly gets more exclusive than that. Are you a club or a church? In my ministry as a church finder, I help people who are wounded by their church experience to return to Christian community of various denominations. These folks have been hurt for a variety of reasons – their gay son was rejected by church leadership, they were told they couldn’t serve in ministry because they are divorced, they witnessed abuse but told not to report it, they were continually taught they were inherently bad and evil, they were told they couldn’t leave their abusive husband. The list goes on and on. So when I hear sexual assault victims come forward to accuse their perpetrators and others question why they didn’t say something sooner, I know why. I know because of my own assault experience and because of my ministry with the wounded. We don’t teach consent well in America. I have never accused my attacker and probably never will. Many times, teaching consent starts with church and that can go well but it can also go very badly. Church wounding is a deep, deep cut that takes a long time to heal, if ever. There is a grieving in both admitting that you have been hurt (a profound loss of innocence) and that you feel you must leave. For many, leaving their church is a death. It is the death of community, relationships, and hopes. But standing up and saying, “this place will not hurt me anymore” is a boundary. We talk about physical consent but there is also emotional consent. And we don’t teach this well. As I hear the stories of parents struggling with leaving their church community after a wounding experience involving their children, I am learning more and more. They often feel they are being “judgmental” or “un-Christlike” if they abandon their faith community. Christian teaching will tell us to forgive 70 times seven, right? This scripture, as well as others, is misused to create an “anything goes” dynamic and it is dangerous. Forgiving each other does not mean accepting abuse and hurt. These parents worry about the lesson they are teaching their children if they abandon their church instead of staying and working towards reconciliation. In the Episcopal Church, we believe the mission of the Church is to be reconciled to God and each other but this does not mean that we tolerate hurtful treatment. Reconciliation can take many forms and it can be done without remaining within a painful community. It may take years to be reconciled and in the meantime, we are teaching our children. 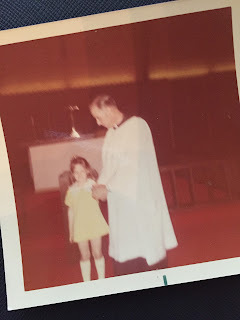 Here is the lesson I tell parents they are teaching their children when they leave their church: You are teaching them consent. You are teaching them that consent is not only physical, it is emotional and spiritual. You are teaching them it is okay and healthy for them to reject hurtful treatment and protect themselves. This is an important lesson for all people. No one has the right to hurt you and especially not in the name of Jesus. You are empowering them with consent and that is a great gift that will serve them in all areas of their lives. Our faith communities need to challenge us to leave our comfort zones, grow more Christ-like, and take risks in the name of Jesus. They are not there to convince us of our unworthiness, to wound our souls, or stress us out. When I hear the joy in the voice of these tender souls when they discover a Christian community that loves them just the way they are, where their soul feels safe, I am over the moon. Sometimes, even worshipping one time in a place that is loving and welcoming is profoundly healing. And I am continually amazed at how God shows up in these people’s lives and opens all the right doors for them. It is truly a miracle. Seek and you will find. Knock and the door will be opened for you. What are you waiting for? When my husband and I were dating, I was the one who said I love you first to which he responded, “oh.” This was not the reaction I was expecting. I felt completely ridiculous. I pretty much figured the relationship was over; that he did not feel the same way I did and that he was likely getting advice from his friends about how to end it. At the time, Ryan was a social worker and worked with a team of women who were glad to give him dating advice. Apparently, the women in his office were horrified when they learned that he was in love with me and didn’t say so. He cleared this up much to my relief! This is a happy ending but I have had my share of heartbreak as I am sure you have, too. We humans can be unpredictable and fickle when it comes to love. The Good News is there is a love that is unconditional and unfailing and that is the love that Jesus has for each of us. This love has no limits. Jesus doesn’t love us because we’re cute, funny, smart, charming, or talented. He loves us because we are a child of God and he is our brother. Tragically, some of you have been hurt by your Christian brothers or sisters and are still trying to recover. Please know that Jesus loves you extravagantly. We must separate the actions of imperfect humans from the true love that Jesus has for us. That Jesus you read about in the Bible, the one that breaks the rules to heal the suffering, he is crazy in love with you. If you are still searching for a Christian community where you can be yourself, don’t lose heart. We are wired for relationship and not meant to be alone. Do your research, pray for guidance, and like any healthy relationship, move at your own pace. Ask the hard questions. While you search for a church home, be your true self. If you feel too much pressure to conform or fit in, listen to your gut and keep looking. God wants to use all of you for his purpose because he is tickled as punch with you as you are. And if you would like the help of a spiritual matchmaker, send me a private message through Facebook/Twitter/Instagram. I confidentially help people all over the country who have been wounded by their church experiences return to Christian community. It is the joy of my life to help others find a loving, affirming, merciful Christianity that truly reflects Jesus of Nazareth. These places do exist! Lastly, remember the purpose of being a part of a Christian community is not so you can be a better person. Christian community is our place to practice loving without bounds, not practice being perfect. The brave folks who walk through the church doors with their scars and broken hearts, taking a chance on love, these seekers are my heroes. 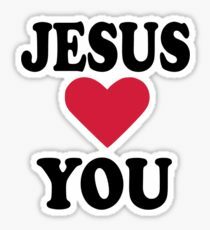 Jesus loves you. This I know. For much of my early adult life, I coped with stress by making changes. I would assess my situation and figure out if there was anything I could change to relieve my stress. These would be external things like change jobs, change my child’s preschool, or change my city. Making changes made me feel in control and like I had taken concrete measures to address my emotional distress. While the Serenity Prayer bids us to “change the things we can,” I didn’t pay much attention to “accept the things we cannot change” part. As I got older, I became more self-aware of this as my personal coping mechanism. These changes were not usually done rashly but they were not always effective. And since they were external, situational aspects of my life, it didn’t require me to do the inner work required to find peace within myself. One of the most significant examples is getting a divorce to relieve the crushing depression I experienced. It didn’t work but it did give me the time and space to get treatment. I count being able to reconcile with my loving and devoted husband as evidence of my personal growth from some very dark times. For the past several months, I have been in a period of discernment. I never seem to quite settle down for good in my life. While I call it “restlessness,” my spiritual director thinks “responsiveness” is a better term. So, in response, I am stepping down from several roles in my life including my evangelism staff position at my church and my advisory role for Invite Welcome Connect at University of the South (Beecken Center) at the end of this month. These were not easy decisions and ones that I have checked over and over to make sure they were not reactions to stress. 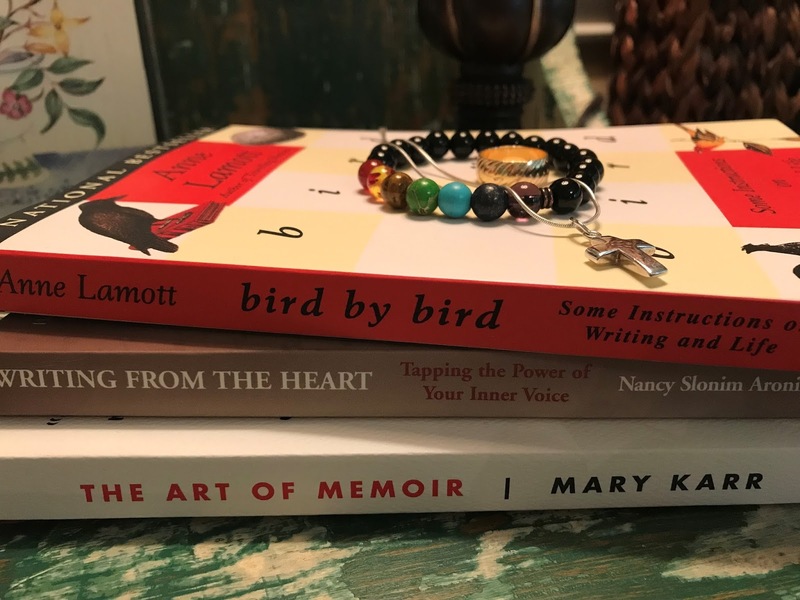 I still feel called to coach and speak on evangelism, help wounded seekers across the country find Christian community, and to finally create time and space to write a spiritual memoir which honestly scares me. Prayers appreciated! I am responding to a call for peace versus perfection, to simplicity versus success. Letting go of so much of my external identity comes with grief. Jesus said whoever loses his life for my sake, will find it. I hope so because constantly proving myself is exhausting. It feels like Jesus is taking me down to bare bones which doesn’t sound very life-giving but I’m going with it. After spending much of my life working 150% to make up for not having the right credential, giving up these positions made me rethink my identity. I now know that the only credential I have that matters is that I’m sealed by the Holy Spirit in Baptism and marked as Christ’s own forever. And no one can take that away. And I can’t change it. That’s a good thing. A very good thing. I have a bumper sticker on my car that reads “Worship like catholics. Think like hippies. Episcopalians.” A few weeks ago, while getting gas, a man asked me if, after I worshiped like a catholic, I smoked marijuana – not exactly in those words. To him, hippies do drugs. This bumper sticker was the result of a conversation my teenage son was having a with a friend he invited to church. On the way to worship, he was trying to explain to her what to expect and finally just said, “basically, we worship like Catholics and think like hippies.” To my son, hippies represent love and acceptance. To him, our church is love and acceptance. And, we Episcopalians do worship like Roman Catholics, but the beliefs differ. I would bet you’ve seen “God is love” on bumper stickers and the like but I am not sure that all people believe that. There is much said and done in the name of God that is not loving. And it is more than a shame, it is tragic. Whenever I hear Christians speaking with judgment and disdain in their words, it breaks my heart. In my ministry, I have the honor of hearing the stories of people seeking God. They are looking for the followers of Jesus: …everyone will know that you are my disciples, if you have love for one another. John 13:35 But so many more have just stopped looking because they don’t see Christians who love. Where are the Christians that we can identify by the way they love? I hear too many whose conversation reflect a belief that following Jesus is about following rules. And if you don’t follow the rules, you are a sinner and unworthy of belonging in Christian community. Newsflash – we are all sinners and we all fall short. Jesus says over and over that we won’t be justified by following the law; in Galatians 5:4, Paul specifically says if you’re trying to do this, you have cut yourself off from Christ and fallen away from grace. After repeatedly being asked about the laws and rules, Jesus finally boiled it down to love God and love each other. Mic drop. So, after a lifetime of trying to approach things in a logical manner, I am finally coming to understand the supreme importance of approaching all things with my heart. This is a struggle for me as I was rewarded in my business career by suppressing emotion and remaining analytical. And, as a person who struggles with depression, I question my motives since my mind can play tricks on my moods. However, I am seeing that living with our hearts is a matter of life and death. People are suffering, physically and spiritually, due to our intellectual, dispassionate, and many times, judgmental mindsets. Where do your actions and opinions come from? Your head or your heart? And don’t get me wrong, when it comes to solving problems, we need your brains. But when we define a problem, when we take a stance, when we share our faith, is it Good News? Are your opinions rooted in compassion or doctrine? If the reason you talk, act, or vote a certain way is because you want people to follow the rules, then think again. I challenge you to examine your heart and ask yourself if viewpoints rooted in right/wrong and black/white fulfill our commandment to love each other. Do the rules you want in place prevent us from hurting each other or do they give us license to do so? Most of us have a longing to feel close to God during worship and to do that, we must be emotionally open. Our walls must come down in order to let the Spirit penetrate our souls. That is a very scary proposition for many, especially those wounded by their church experience. It’s one of the reasons that people cry in church when they can’t cry elsewhere. It’s one of the reasons people who are struggling actually don’t come to church sometimes because they can’t hide their pain at the same time as being open to God. This is why it is so important to create cultures of safety and vulnerability in our churches by truly knowing each other, with all our faults and shortcomings, in great love and mercy. As I prepare to take some Sabbath time from my ministry, I keep reminding myself that it is okay to rest and be still. For most of my life, rest was only deserved after everything else was completed. Being still could only happen as a reward for work done. Looking back, I see it was a coping mechanism for my depression; get through everything that was expected of me and then I could reward myself somehow. It kept me moving forward when I wanted to crumble. Over the years, supervisors have told me, “be kind to yourself.” I never had a clue what that meant. Get a manicure? Take a vacation? Be still with God. That is the answer and it’s taken me many, many years to accept it. Walking with others on their faith journeys requires my full presence and all of my emotions. There is no way to fake this ministry. To nurture the divine in others, I have to nurture the divine in myself and I have to take care of my soul as a top priority, not a last one. So as I ponder the necessity and hopes for my downtime, I am trying to make peace with being kind to myself first. God worked for seven days and then rested. I think too often we stretch that “work and then rest” model to the breaking point, well beyond seven days. For my own spiritual health, I find that I need daily Sabbath time as well as extended Sabbath time to stay connected with the Spirit and to be able to be fully present with others. I am continually amazed at how God’s peace is with me when I love myself first. Even a few minutes of meditation and beautiful music before diving into my day is transformational. And the more simple I am about it, the more I feel God’s presence. I recently had an exchange with someone about grace. Her perspective was that God’s grace transforms us – allows us to kick a drug addiction or the like – essentially improve. This was a wake-up call to me. I have never viewed grace in this way. From what I see in my ministry, grace shows us how to love ourselves and others more. When I invite others into Christian community, it is not an invitation to become better people but an invitation to experience compassion for ourselves and others. When we encourage each other to be transformed, it is not to do better or be better, but to simply love more. The premise that we need to go to church to “keep us on the straight and narrow” or to “be the best version of ourselves” is shallow theology. Jesus tried to boil it down for us: Love yourself and love others. And it had nothing to do with being good enough. He consistently modeled loving those who were despised. So, as we Christians work to change the world, let us remember that each of us deserves love and rest. Our churches do not exist to improve anyone but to teach us how to see the divine in all people with great love and mercy. How can you prepare to love others more by loving yourself today? And not because you feel you deserve it but because God is waiting to sit with you and love you unconditionally. I only perform in live theatre every few years now but there was a time when I would appear in three to four shows a year. During that time, I would invite anyone and everyone to come and typically groups from my day jobs would attend. I called it “theatre evangelism.” Little did I know that my vocation would be Christian evangelism all these years later. I invited people to the theatre with abandon. 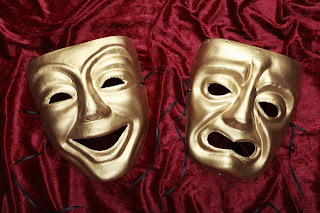 Whether the show was dramatic or comedic, there was real emotion experienced by all of us through the magic of live theatre – a connection that crossed all sorts of lines - and that is truly what I was inviting others to experience. As we observe the birthday of the civil rights leader Martin Luther King, Jr. in the US, I am struck by how incredibly relevant his words are today. I am also reminded of Dr. Brené Brown’s recent book, Braving the Wilderness, where she talks about dehumanization which is the process by which our natural inhibitions against harming others of our species are removed. Dehumanization starts with language and moves to images, creating an enemy or less-than-human status of others. This tragically allows entire groups of people to be morally excluded from (or undeserving of) humane treatment. This happened in the 1850’s, the 1960’s and it’s happening now to immigrants, refugees, the LGTBQ community, the poor, victims of sexual assault. The list goes on and on. Dehumanization makes things like discrimination, genocide, human trafficking, and indifference possible. When you start hearing human beings described in callous language and that language being accepted and defended, dehumanization is in process. Back to the theatre. As I get ready to perform, I spend time letting go of my own reality and stepping into the shoes of the Jewish New York art dealer I will portray. I keep a picture of my onstage husband and me framed on my dressing table to remind me of my new identity, if only an identity that lasts a few hours. It is an exercise in self-denial like we are called to do every day: step into the shoes of others and focus less on ourselves. I believe this is what Jesus was talking about when he said those who lose their lives for my sake, will live. I don’t think he was only talking about literally dying although some have died as they denied themselves for the sake of others, which is really for the sake of Christ. How do we change this tide of dehumanization that is sweeping our society? There is more slavery in the world now than during Civil War times. In 2016, 80% of districts reflected landslide victories for Trump or Clinton. That means people are more ideologically segregated in the US than ever before in history. Dr. Brown tells us to resist insulating ourselves in bunkers of likeminded people. She cautions that being united by hating the same people is not true connection and it breeds moral exclusion. We must be united by collective experiences of pain and joy that cross all lines. It can be as profound as disaster relief or as simple as laughing together at live theatre. It helps us see the humanity in all people. The theatre is a place where I find collective experiences of pain and joy – both from the entertainment itself and the community that is built in the process. The practice of considering someone else’s motives, thoughts, pains, joys, and experiences is an exercise in self-denial. There are also very clear boundaries about each person’s role and contribution. You may have heard the old saying, “there are no small parts, only small actors.” Everyone has a piece of the production and without their piece, the whole doesn’t work. No one’s contribution is more important than the other, much like the body of Christ. All have value. Can you resist dehumanization and invite others to share experiences of collective joy or be present with others in their collective pain? You might just end up being an evangelist, too. I describe my faith like this: a basket full of beliefs and doubts, carried by God. The doubts are not about whether I believe scripture is true or if there is a God but more about my own doubt in being able to trust that God is listening, He is engaged, and will act. That is one reason I write this blog: it’s important for me to pay attention when I see God’s hand at work in the world. It reassures me in my times of doubt. And one of my doubts is usually that God will give me anything to write! I know – it’s silly. This past year has been particularly challenging for me. I see the world becoming more broken by sin. Jesus tried to open our minds to the concept that we all are one people – that no matter how different we may seem, we are one in the Lord. And for me, that means that as a Christian, all people, even the non-Christians, are precious and held in the Lord’s loving arms. Maybe it is only my perspective but I see a more individualistic culture becoming the norm. I see sin (separation from God) manifesting in our world as a lack of concern for the poor, dehumanization of certain groups, disdain for experiences different than our own, and the use of religion as a weapon. This pains me greatly and so this past year, I have struggled to keep my depression under control and avoid cynicism. Thank God, literally, He continues to act and show me even in my doubts, that my belief in an all-encompassing, world-changing, no qualifications required LOVE is still truth. One thing that my experiences of divine love have in common is that I was open to it – emotionally available and physically available. It would have been so much easier to pull the covers over my head and never leave the house. One day during staff meeting, a mother and daughter stopped in to join us for prayers before her daughter’s surgery. We laid hands on her as we prayed. For me, when I touch other people during prayer, I get an intense physical sensation that runs through my body which I believe is the Holy Spirit. This particular day, it was so intense that I nearly collapsed. Broken but hopeful. Recently, a group of us went to the local Mosque for their Open Mosque Day – an opportunity to meet as neighbors, as one in the Lord. They invited us to an instructed call to prayer. When I heard the call to prayer, in a language I didn’t know, the Holy Spirit shot through me and I felt that this call to the divine was ancient and preceded our time of division. Tears came to my eyes. I have no intention of converting to Islam but that day was a lesson for me. Not only is the Holy Spirit present everywhere but as I am committed to supporting their spiritual expression, I need to support those Christian expressions of faith with which I disagree. Broken but hopeful. After Hurricane Harvey, a group of us delivered lunch to relief workers in various neighborhoods. 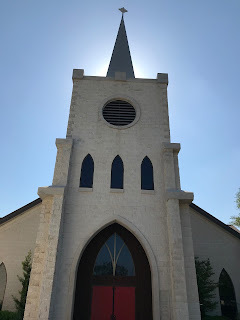 It would have been more convenient for me to go by myself since the neighborhood was close to mine but a parishioner suggested we go together which meant I arrived back at the church where a woman had been waiting. She asked if the church was open because she needed to pray. It was locked but I was happy to let her in. We prayed together and shared our flood stories. When I saw her recently at St. Mary’s Fall Gift Market, we both said we were doing better now and she was surprised when I remembered her name. We shared a Holy Spirit moment; I will never forget her. Broken but hopeful. One of my beliefs is that of free will. God has the ultimate power to act but we have free will to make ourselves available or to pull the covers over our heads and protect our hearts. While I cannot control everything, I also don’t believe that God is controlling everything. He gave us the ability to choose. We have 31,102 verses in the Bible that encourage us to choose love. What is keeping you from making yourself available to God? In my ministry, people often ask if they will need to get baptized again to become a member of St. Mary’s. If you have been baptized in the name of the Father, Son, and Holy Spirit, then the answer is no. 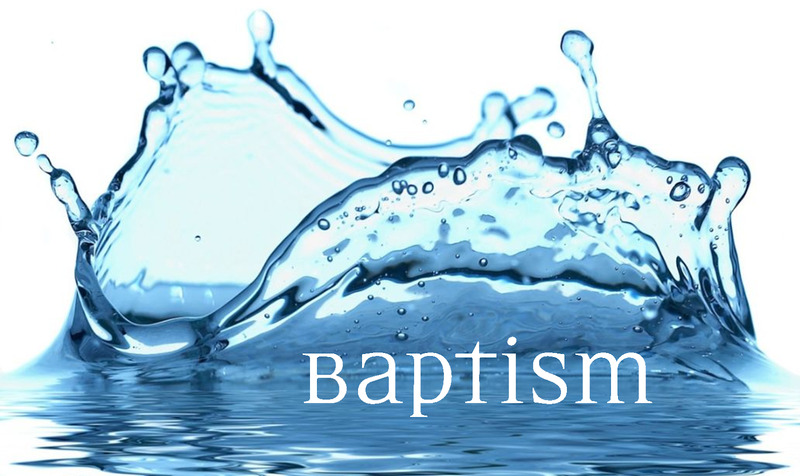 We don’t baptize people into the Episcopal Church; we baptize them into the body of Christ - the body of Christ that spans people, denominations, and countries around the globe. We don’t think we’re the only ones going to heaven. After a quick search of baptism liturgies for the other mainline traditions, none of them include the vows above. This speaks volumes about the way the Episcopal Church sees baptism – not as only something to be received but as a commitment to a way of life and not only study, prayer, and resisting evil but seeing Christ in every person. That is a high bar. Additionally, we promise to strive for justice which means we work to dismantle the structures that cause suffering - no small thing. Another question I get is about “the rules.” This question makes me squirm a little bit because I usually feel my answer is inadequate. Growing up in the Episcopal tradition was never about following rules to express your faith. I was taught to try to emulate Jesus and get as close to God as I could and listen for the Spirit’s direction. We believe we are saved by grace and that everything necessary for salvation is contained in the Bible. Any “rules” we have are about how to live our common life as Christians and not as criteria for inclusion, forgiveness, or worthiness. This does not mean that we have no expectations. Baptism in the Episcopal Church is not a quick admission pass to heaven. As the baptized, we receive new life in Christ and that new life should look different. So maybe a better question to ask is: What is it going to cost me? This question should probably scare us to death. Standing up for the scorned got Jesus killed. If you live in the United States, you likely will not have to die to love like Jesus but it will cost you something. These costs are likely related to comfort, status, wealth, or power. What are you willing to lose to love like Jesus? Our Baptismal Covenant, among other things, very clearly charges us to live rebellious lives. I say rebellious because when you fully live into this Covenant, it will cause conflict. These vows are not about maintaining the status quo. What sort of rebellion could we lead with two million Episcopalians in the United States striving for justice, seeing Christ in every person, and protecting the dignity of all humans? Let’s wade into the waters of baptism and make some waves. In my ministry, I hear many stories. It is the joy of my life to hear the stories of people who are searching for God. Sometimes, they are full of positive experiences of dedicated pastors or youth leaders or a chance encounter that pointed them to God. Other times, they are full of suffering caused by the words or actions of others in the name of God. In both of these cases, these storytellers are experiencing God through other people. That is what I want you to remember: if you are a Christian, others are experiencing God through you. What you do and say matters very much. This was brought into sharp focus a few weeks ago when I went to our state capitol to advocate for equal rights for our LGBTQ citizens. As I shared my story and listened to others, I felt others’ pain of rejection and hurt at the hands of Christians. I experienced none of that pain in my faith story. I was blessed to grow up in organized religion and was not wounded by it. The Episcopal Church has been a safe and affirming place for me. This is not true for many Christians. One of the women I was chatting with mentioned she lived in a suburb south of Houston called Pearland. I suggested that she might attend St. Andrew’s Episcopal Church, that she and her family would be welcome there. I gave her my card and told her to tell the priest I sent her. She was so relieved to know there was someplace where they could worship just like everybody else. As I travel this road for LGBTQ advocacy, to work to dismantle the structures of injustice that cause suffering, I find myself in groups on Facebook and in other arenas where I hear these painful stories. 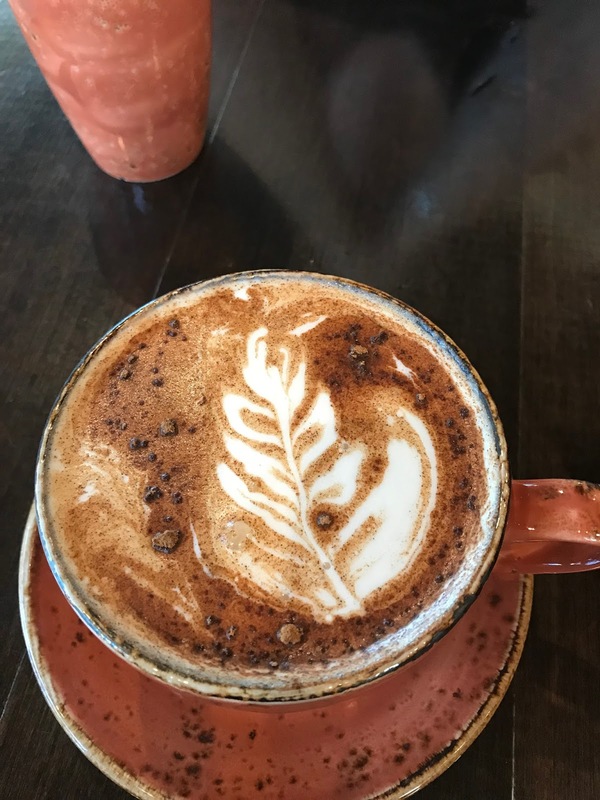 As a bartender listens to patrons’ stories of woe, so do I. I am sort of like a “spiritual bartender.” These stories are heartbreaking and I cannot help but be taken aback by the hate dished out in Christ’s name. It is always shocking and I don’t think I will ever be jaded to it. I have heard stories of parents of special needs children who for some, only felt unwelcome in worship but others who have been told their children were too disruptive to attend worship. I have heard stories of churchgoers who were specifically pointed out and shamed from the pulpit. The list goes on and on. Have I been disappointed or angered by folks in my Christian community? Sure! We’re a family and every family has its struggles. I have also witnessed true forgiveness and reconciliation. Because of my positive experience with organized religion and seeing God’s loving hand at work, I can invite others to meet Jesus with confidence. And it is the BEST to witness someone who never thought they’d find a loving Christian community find one and realize that God does love them and always has. I truly believe that if you’ve been hurt by the Church, you need to be healed by the Church. A gaping wound doesn’t get better by ignoring it. The Church owes it to you to right the wrong. So keep searching for God. He is with you every day, hoping you’ll return so he can show you how much he loves you. And for those who carry the cross of Jesus, your words and actions matter. Be sure you represent the generous and expansive love of Jesus - a love that others thought was so broad, so bold, so radical that he had to be stopped. Can you throw caution to the wind and love with abandon so that others can know God loves them? You may recall one of my earlier posts called “Who Will Be a Witness” where I share a story of meeting a young man who had never been to church nor heard the story of Jesus and how I believed that God had put me in that place, at that moment, for that purpose. My spiritual director simply responded with, “What if that were every moment?” In those simple words, she opened my heart and mind to the concept that God is placing me in every moment, in every place, for his purpose. For most of my life, I have lived my life with a hard line between the spiritual and the secular. There was a definite difference between those two worlds. The Episcopal Church is centered on worship, unlike other denominations who are centered on education or service. Since we are focused on worship and worship has historically been in a building with beautiful music and intentional words, it is very different than other experiences of my week. Worship brings us together and can reset our priorities. It can be a way we experience or hear God. But it is only worship. Our curate, Rev. Alan Bentrup, reminds us that what we do on Sunday is worship and what we do out in the world is church. Being the church, loving God, is so much bigger than showing up at church on Sunday. If we love God, then we are doing and being as much like Christ as we can – in every part of our lives – not just Sunday. In the Old Testament, God gives us a clear command to worship no other Gods but him when he hands down the Ten Commandments. Throughout the Israelites’ time in the wilderness, there was emphasis on worshiping God and observing the rules of a people set apart. In the New Testament, Jesus reminds us to love God with all our heart, soul, mind, and strength. This was not new – it’s also in the Old Testament – but loving became the focus instead of the rule-following. He also reminds us that he came for all people – not just the Jewish people who were set apart. This was Good News to many but radically disappointing news to others. In these fractious times, I struggle living out my Christian beliefs because I feel I need to consider how others may react to my loving all of God’s creation. Loving our Muslim neighbors and defending the dignity of the LGBT community are as natural to me as prayer. I also take my Baptismal Covenant seriously to strive for justice and peace. It is not possible to compartmentalize my love to avoid ruffling feathers because my “worlds” aren’t separate anymore. I wonder this morning what Jesus would think about being worshiped since he came to serve and not to be served. I wonder what he would think about our churches since the early church had no buildings to separate followers into various houses of worship. Followers were simply in the world, sharing their witness of the love they had experienced. In that way, there was no line between the sacred and the secular. The church was the world – not contained in a building. Ashes To Go was all over the news this year; this shows you how revolutionary it is to actually be the church. This shows you how much we have hoarded God for ourselves. Someone recently shared with me this powerful quote from Wendell Berry: “There are no sacred and unsacred places; there are only sacred and desecrated places.” Every part of the world is God’s world and it is all sacred until we desecrate it. How does our life protect every moment, every place, as sacred? That every person is sacred and precious to God? Does your life – your words and actions – reflect loving God’s world and all that is in it? How can you make the line between you and God thinner? This month, it has been two years since I began working at St. Mary’s as their welcome leader. I took a look back and remembered how I was feeling spiritually at that time. After leaving my corporate job a month earlier, the pace of my life suddenly changed. Going from working 75 hours a week to 40 was a huge change. It took about three months for me to fully decompress and I noticed that I was working every day but it felt like I was on vacation. (FYI - I also work from home doing the accounting for a law firm.) My mother, who lives with us, said she had never seen me so relaxed. I felt weird. Then it hit me: I hadn’t felt this way in probably five years. I hadn’t truly relaxed in years. This weird feeling was peace. As I moved through 2015, I was able to take good care of myself and whereas before, at the end of the day, I felt completely spent, I was able to be fully present with my family in the evenings. This blog was born and inspiration was never in short supply for words to share. This lasted about a year or so. Then, as my ministry expanded, I started losing this new sense of peace. Exciting opportunities were set before me to spread the Gospel and I truly felt that everything I had done in my previous career had prepared me for this calling. There were so many amazing moments where the Spirit was at work, but I wasn’t taking care of myself and by early 2016, my pace was frenetic and I came down with shingles. My spiritual director and priest kept encouraging me to answer the call to silence and stillness otherwise I might not have made it through 2016. It was also a rough year in my parish with the April floods, including our rectory, and the loss of a three-year old child by accidental drowning. This grief was compounded by watching a presidential candidate come to power that hurt so many. The blog was harder to write in contrast to the year before where the words came pouring in every couple of weeks. In my post, “Messengers,” I wrote about my experience on a silent retreat which was truly life-giving. It was a moment of peace but not enough. Heading into the fall in a very dark emotional place, I forged ahead. I continued to pray for the sense of peace to return. I reached out to my doctors to address my depression. We adjusted medication. All of those things helped and in December, I started experiencing joy again. But I wanted to feel weird again; I wanted peace. Sometime during 2016, I had ordered a book called The Seven Whispers by Christina Baldwin. I don’t even remember who recommended it to me and it sat unopened on my nightstand for months. When I finally picked it up and read a couple of chapters, I was hooked on the ideas, but my “work” derailed my attempts to implement the spiritual practices. Fast forward to January 2017 when our women’s Wednesday fellowship agreed to do a book study on The Seven Whispers. This last week, I decided to practice one of the concepts from the book, “moving at the pace of guidance.” Christina says that “speed is the enemy of guidance.” So on inauguration day, with a demanding workday ahead of me, I heard doves outside my window. I decided to stop and sit with God in centering prayer for five minutes at the top of each hour, starting at 7 am and ending at 5 pm. I also took a break from TV and social media. It was transformative. While going away on retreat has very good purpose, stopping and re-centering during the workday finally returned the peace I was missing. I headed into an evangelism workshop I was leading on Saturday with a new calmness. When Elijah felt that he could no longer go on, he went to the wilderness to die. After the angel had fed him and he rested, he heard God’s voice. He obeyed and went to Horeb where the Lord came to him. But the Lord did not come in the rushing wind, nor the earthquake, nor the fire. God came to him in the silence that followed. How can you slow down and listen for God? Is there a community that can support you in finding the peace that only God can give? A thoughtful friend once told me that if people truly understood what the church was about, the church [building] would be empty. Rev. Alan Bentrup reminded us a few weeks ago in his sermon that what we do on Sunday is not church – it’s worship. When we leave worship and go out into the world to serve, that is church. Church is out there. In the Episcopal Church, whenever the Gospel is read, it is read in a location in the church that causes the congregation to face the door to remind us that we must take the Gospel out into the world. Before anyone in church leadership panics, I wholly support attending worship on Sundays (and other days). What we do during worship is practice for our ministry in the world, especially reconciliation. When we “pass the peace” at church, we are not merely greeting one another with a friendly handshake. This is a symbolic reconciling action before we go to the Lord’s table together for communion. Of course, prior to this, we have confessed, through corporate prayer, our sins to reconcile ourselves to God. So, after this love fest, we are sent out into the world to love others. To love everyone, actually. Everyone. So what does reconciliation look like if we were to take it to Monday morning? Conversation can be useful; it can sometimes makes things worse if approached in the wrong spirit. Listening for understanding is much different than listening to convince the other. What if trying to dialogue with those on the opposite side isn’t worth the time other than to say let’s agree to disagree and get on with work of feeding the poor and welcoming the stranger and transforming the world. In this noisy world, we can be convinced debate and argument are essential. The Pharisees loved to debate small points with Jesus so much so that he finally boiled it down to love God and love your neighbor. Not much gets done while debating. If I get caught up in what divides us, I’m using precious energy that could be used to stand up for the marginalized and persecuted. With 900 hate incidents in the past 30 days, some of which my family and friends have experienced, I have been wondering how to reconcile with others and how to change the mean-spirited tide. I had the answer all along: get back to the basics of being a Christian but do so in a radical way that I have never done before. 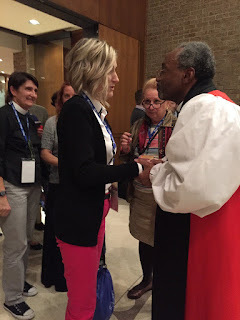 As God would have it, I attended the Evangelism Matters conference recently where Presiding Bishop Michael Curry encouraged us to live out our baptismal covenant to share the Good News and to be obedient to the Great Commission to make disciples. This has been the root of my ministry the past two years - not church growth, not more people in the pews, not meeting a membership quota - but welcoming as Christ would. Bishop Curry's message was affirming and lifted me out of the dark place I have been in for several months. He said we can be the church for these new times: where everyone is safe but no one is comfortable. Will you continue in the apostle’s teaching and fellowship, in the breaking of bread, and in the prayers? Will you persevere in resisting evil, and, whenever you fall into sin, repent, and return to the Lord? Baptism is not a comfy sacrament for admission into heaven. The world is changing and being the same Christian I was last year is not responsive to the Holy Spirit. Baptism calls us to a sacrificial way of life that requires action and discomfort on our part. Never before have I understood so clearly that “Christian as usual” won’t cut it in this new world. Because what the world needs now are crusaders for love that defy practicality and earthly limits. What new way is Jesus asking you to deny yourself, take up his cross, and follow him? Evangelist: one who shares the Gospel of Jesus through personal witness. That's me. I live in the Episcopal Diocese of Texas and left a 25-year corporate career in 2014, discerned a call to lay ministry and now consider myself a “spiritual bartender.” My ministry is marked by a deep empathy for those wounded by their church experience as I help seekers across the U.S. return to safe and affirming Christian community. I led an evangelism ministry at St. Mary’s Episcopal Church in Cypress, Texas guided by a passionate commitment to the Episcopal Baptismal Covenant and the Great Commission. Each month I convene a lively gathering of welcome leaders in the Houston area and I am a Certified Facilitator for Invite Welcome Connect®, a ministry of the Beecken Center at University of the South at Sewanee. Wife, mother, actor, writer, and advocate are other roles I claim with joy. 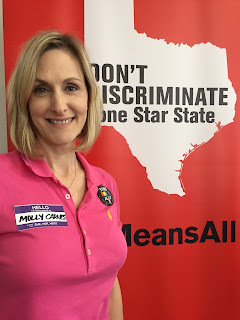 For information about evangelism coaching, church finder services and more, visit www.mollywillscarnes.com. To subscribe, enter your email above.